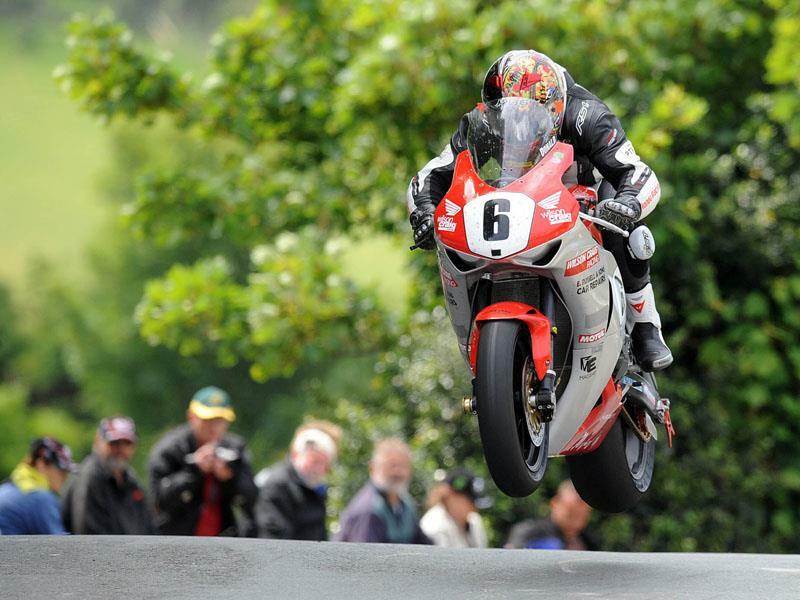 Australian double TT winner Cameron Donald will remain with Wilson Craig Racing for the 2013 roadracing season. Donald, who has been supported by Craig through various teams since 2005, will be looking to build on a successful two seasons on the team's Hondas. 2011 saw him ride a blistering race to second in the opening Superbike TT, while in 2012 he was runner up to Bruce Anstey in the first Supersport race by less than a second, one of the closest TT finishes in the event's 106-year history. The team are also sponsor-hunting after three years running with Wilson Craig as the team's primary funder as well as manager. Wilson Craig commented “I'm delighted to have confirmed Cameron for the 2013 campaign. We were really close to the top step in 2012 and I'm sure with another year under our belts and the experience that the team gained last year, we will be a match for anyone. Donald said "This is now my third year with the team and we've gone really close at the Isle of Man in both 2011 and 2012. I've got a lot of history with Wilson and he has supported me for a large part of my career. We'll give it a really good go this year and I'm confident that we've got as good a chance as anyone around the Mountain Course." Paul Phillips, TT and Motorsport Development Manager, Isle of Man Government, added “Cameron Donald and Wilson Craig Racing are a really strong partnership and make no mistake they will be one of the teams to watch in 2013. Cameron has an excellent record on the Isle of Man and is a fantastic ambassador for the event internationally."